With a playlist of swing and boogie-woogie tunes, the all-volunteer WYAR is gaining enthusiastic listeners — and many of them are under 35. Chef-owner Cara Stadler had a 10-year plan when she was 16. In 2014 she was named one of Food & Wine’s best new chefs. Here are the “wrapped treasures” we discovered upon dining at Bao Bao Dumpling House. You don’t need to fly to France to enjoy the best of French cuisine. Simply head to the recently opened Ocean restaurant at the Cape Arundel Inn. Updated American favorites meet laid-back atmosphere at this Rockland dining destination. Portland finally gets an inventive dim sum restaurant worthy of the city’s culinary reputation. Poutine, cream puffs, brownies, lobster, and more. 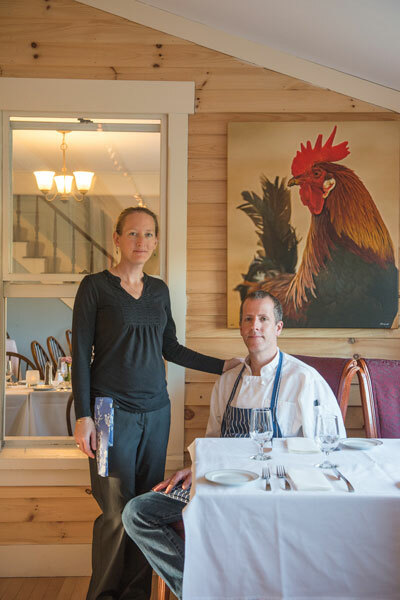 Grammy’s Country Inn takes Maine comfort food to another level.